Adult LEA NUMBERS chart for ETDRS Illuminated light boxes. 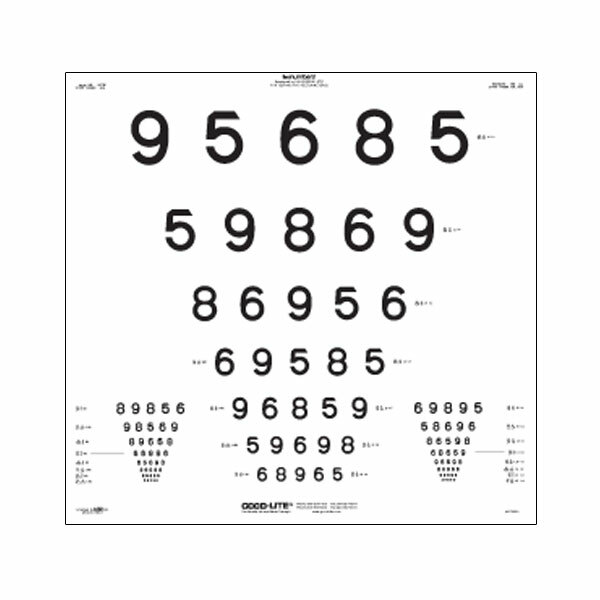 LEA NUMBERS ETDRS chart contains optotypes in proportionally spaced (logMAR) lines; lines range from 20/200 to 20/8 (6/60 to 6/2.4) equivalent, 0.10 to 2.50. Fits in ESV3000 ETDRS illuminated cabinet.